This year has been a whirlwind for our country and for Capital Impact Partners. For all the headlines of stock market records and rising incomes, the reality is that too many of us across America are struggling. People of color are disproportionally impacted, with black households still lagging behind where they were in 2000, and Hispanic households not doing much better. Due to this stark reality, the question “How can we bring about improved outcomes in access, income, health and opportunity in the communities we serve?” remained central to our efforts. Through our dedicated focus on breaking the barriers to success – and with your support – I am proud to report that this has been our most impactful year ever in working to turn underserved communities into communities of opportunity. To answer that central question, we concentrated on identifying and addressing inequalities within systems and driving equitable means for individuals to propel themselves out of poverty and live the dream America is known for. Several resources were researched and developed to inform practitioners and communities and influence policy makers about best practices in our areas of practice. Capital Impact’s Answer Key walks charter school operators step-by-step through facility construction. We heard from many charter school operators that the school construction process can be daunting. 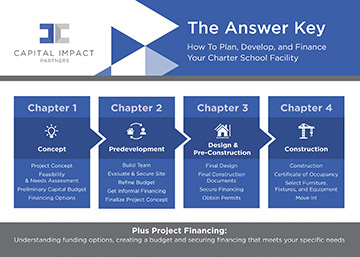 In support of their efforts to build or expand high-quality charter school facilities, Capital Impact published The Answer Key, a step-by-step guide to the school construction and financing process. With the influx of development in Detroit, long-term residents face the risk of relocation or displacement. Capital Impact published a report to help groups involved in development manage processes to reduce resident displacement. Alongside these resources, we also developed programs to directly address inequity in access to services and economic participation. 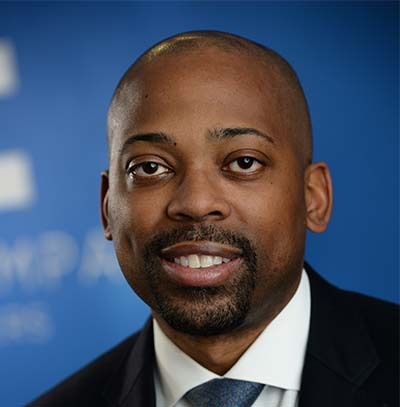 Capital Impact’s Equitable Development Initiative will support minority real estate developers with resources and capital. In Detroit, where lending and resources for minority real estate developers are limited, we launched the Equitable Development Initiative. 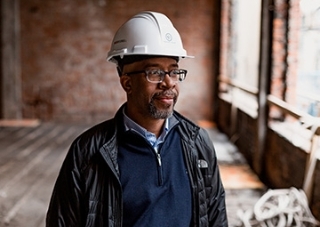 This two-year, $5 million program is designed to help minority developers participate in Detroit’s continued economic recovery by providing them with critical training opportunities and access to capital. Our longtime partner JPMorgan Chase provided initial support. More broadly across Michigan, the Michigan Good Food Fund invested more than $10 million in statewide healthy food programs since its launch two years ago, creating approximately 213 construction jobs, 366 full-time jobs and 32 part-time jobs. Cooperatives can provide a considerable economic and social benefit for communities. Our cooperative work focused on expanding racial and economic equity to the communities we serve by supporting worker, food and housing co-ops. We gave our third year of Co-op Innovation Awards to Project Equity and the Food Co-op Initiative for exemplifying innovation in the co-op space with a focus on communities of color. Additionally, there has been movement in the home care worker cooperative space. 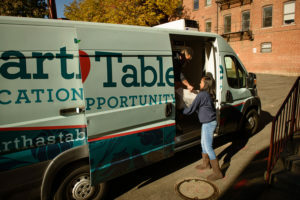 Capital Impact partnered with the AARP Foundation to create quality work options for women 50 and older through a national effort to scale worker-owned, home care cooperatives. With women – mostly women of color – making up 90% of all home care workers and wages for these jobs keeping workers hovering around the poverty line, worker ownership is a viable option for giving older women employment empowerment while providing quality care for their clients. Our lending team also had an incredibly full year. Fueled by a record-breaking projected loan volume of more than $200 million, 2017 will be our largest year ever. Martha’s Table’s relocation and expansion in a new community-services campus will help address local disparities. As we have expanded our lending, we have also expanded our footprint. We’ve reached into new geographic areas to continue addressing the increasing need of communities across the country, including work in the Southeast and Midwest. I am particularly excited about our growing focus in the “backyard” of our headquarters. We helped launch a number of impactful projects in Washington, D.C., including a focus on education with the Mamie D. Lee development, Martha’s Table and the D.C. International School. Along with these outward successes to empower new communities of opportunity, we made great strides in focusing inward to further position ourselves to address the nation’s biggest challenges. In January, S&P Global, the world’s leading provider of independent credit ratings, assigned Capital Impact a “AA issuer credit rating.” Being one of a few Community Development Financial Institutions (CDFIs) that have received an S&P rating is not only an honor, but it improves our ability to access financial tools that allow us to support vibrant economic opportunity and shared prosperity. That set the stage for the October launch of our Capital Impact Investment Notes. This first-of-its-kind offering from a CDFI – with its own “AA” S&P rating and offered on a continuous basis – gives us the flexibility to invest in new programs and initiatives in communities needing support. It has already been incredibly well-received, selling more than $41 million in the last quarter, making it among the most successful in the impact investment space by a non-profit. We closed the year by launching a unique partnership with Annaly Capital Management. Through this first-of-its-kind $25 million joint venture with the world’s largest REIT, we were able to raise direct equity for our mission. We are thrilled to embark on this partnership, as it enables us to expand our work to new communities. Of course, these numbers mean little without impact. We reached more than 200,000 beneficiaries this year and created more than 750 jobs. I am immensely proud of the work that our team has done to make this year our best yet. Their commitment allowed us to increase access to health care, education, affordable housing and healthy food for many deserving individuals. You can learn more about our approach and focus on equity from my interview with the More Than Money podcast. More than ever, communities across the country need support to help themselves out of poverty, and Community Development Financial Institutions are becoming an ever greater tool for realizing that goal. Capital Impact is well placed to continue affecting positive change for communities in 2018 and beyond. Of course, we can’t do it alone. Thank you for all of your support, this year and in the future.